This is a very useful countdown module. It's specially developed for limited-time promotion, product publish dates, registration deadlines and events. 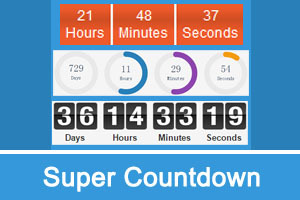 Integrate 3 kinds of countdown plugin, they are "flip countdown", "promotion countdown" and "circular coutdown".